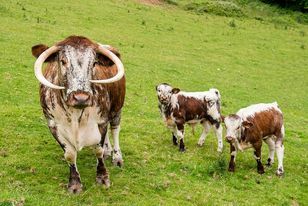 We have a herd of pedigree English Longhorn that graze the pasture on the banks of Walsgrove Hill. 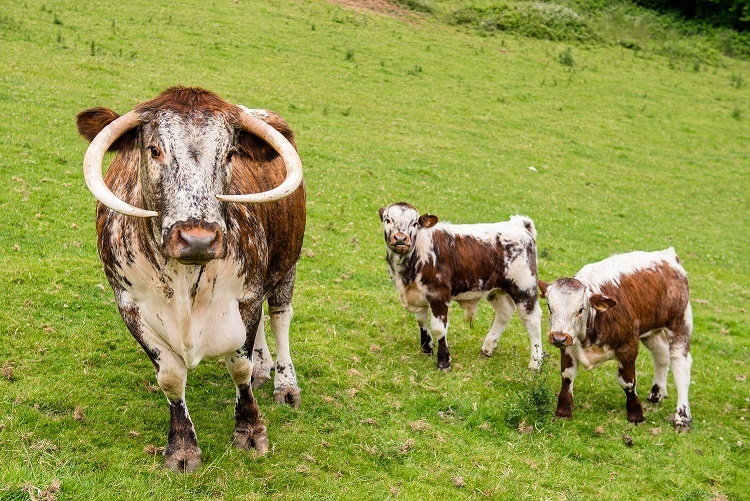 In the herd there are 40 cows with a total of 130 cattle, the cows calve in the spring and the calves stay with mothers for 9 months when they are weaned, the heifer calves are kept for breeding and the male calves are grown so they are finished at over 2years old. The cattle are outside for 8 months of the year, they are housed in December when there no longer enough grass to fed them. The cattle enjoy being turned out in the spring onto the fresh spring grass. We occasionally have beef available for collection from the Farm please call for more information 01299 896272.